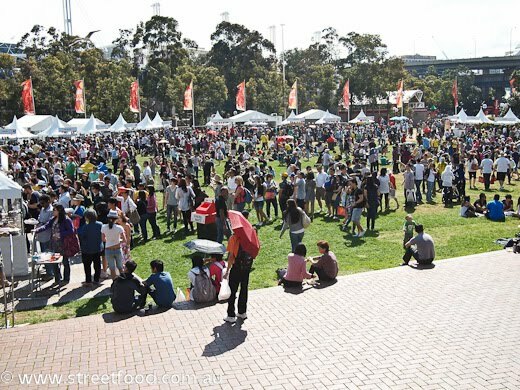 We drop into the Malaysia Festival at Darling Harbour for some culinary therapy. 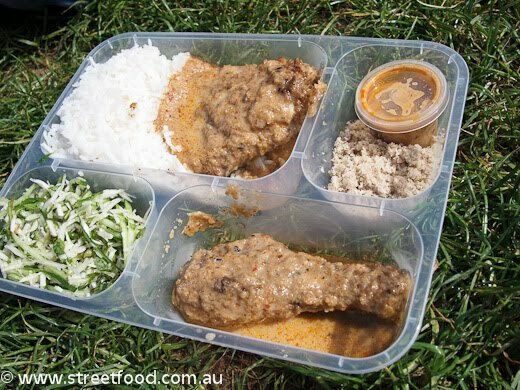 Nasi Kerabu with Ayam Percik - $12. 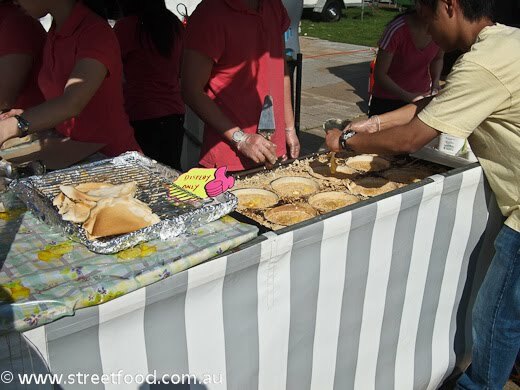 Most interesting was the powdery stuff which had dried coconut and fishy flavours; delicious mixed in with the green salad and spicy barbecued chicken. 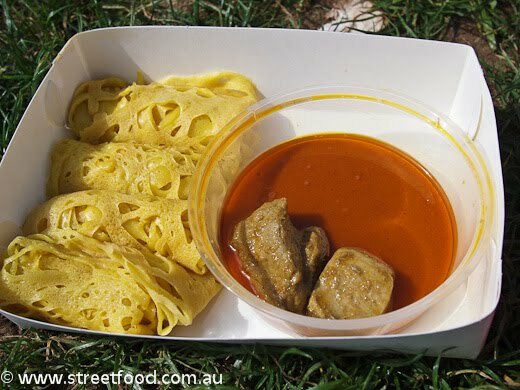 Roti Jala - $7. Latticed flat bread with curry. 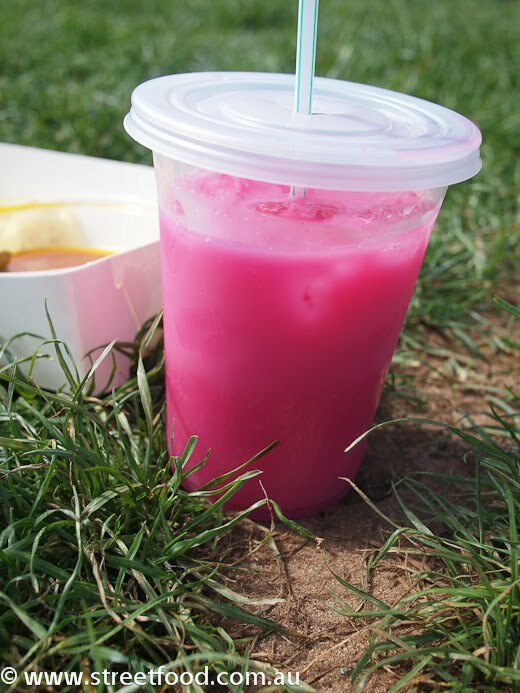 Sirup Bandang Soda - Rose Milk Syrup with a Fizzy Twist - $3. 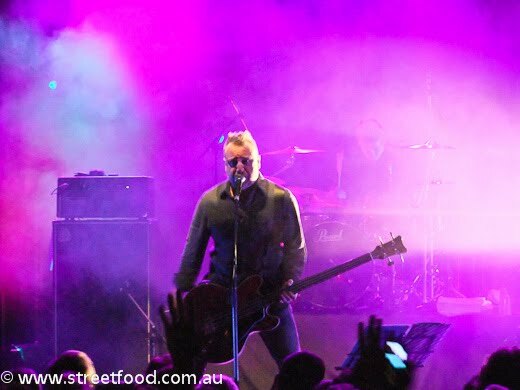 This was super sweet and much appreciated in our critical but stable condition, it was like a milky creaming soda. 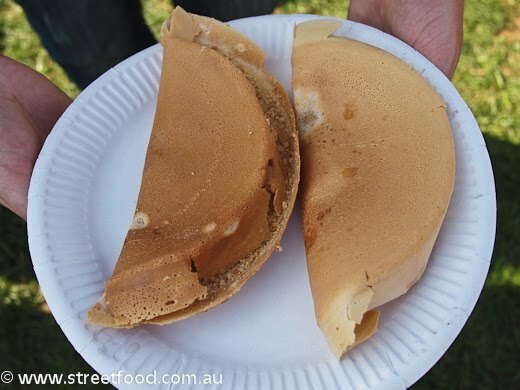 A flurry of industry making apam bilak, a sweet pancake filled with nuts and even a little corn. 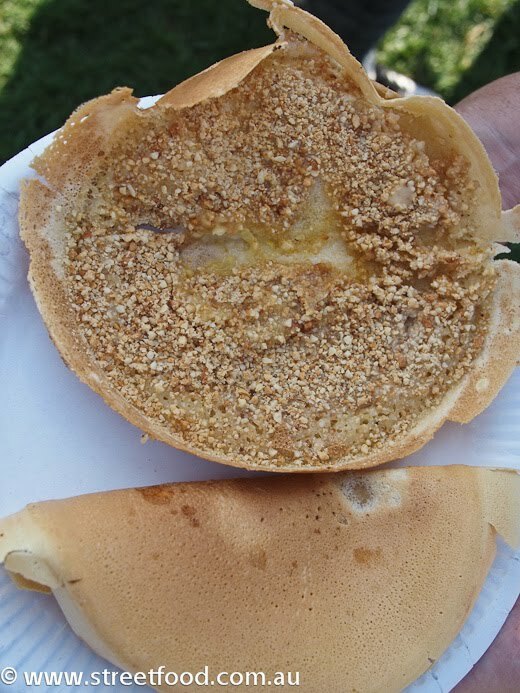 Apam bilak looked too good not to try. 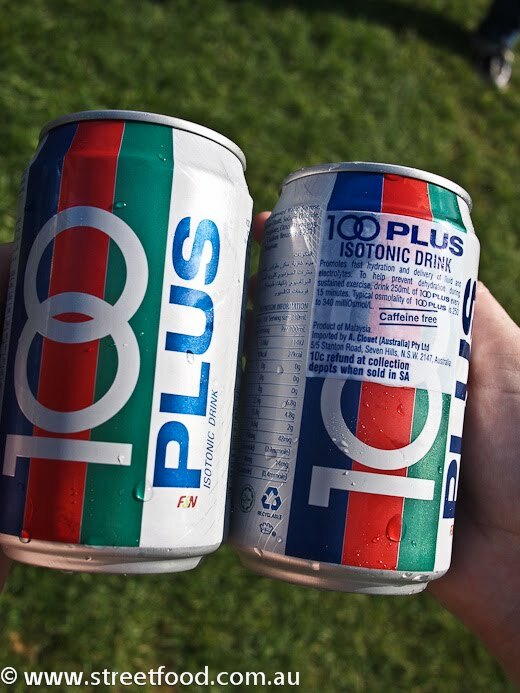 100 Plus sports drink - a bargain at $1 per can. Perfect for hangovers. 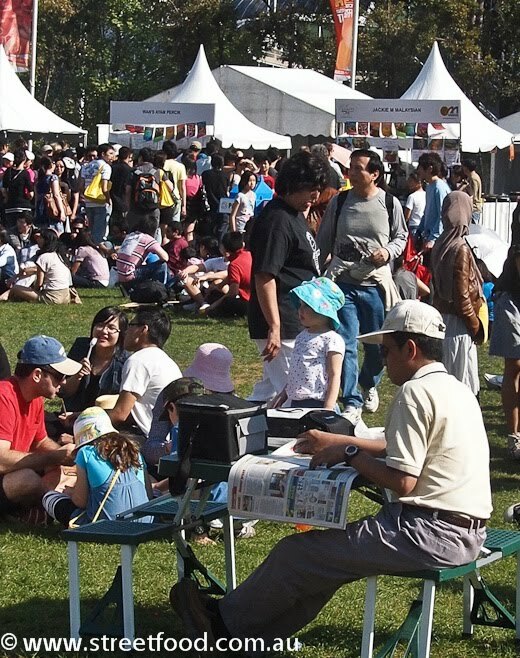 Next time we'll be like this smart fella and bring our own table\chair set and a newspaper. 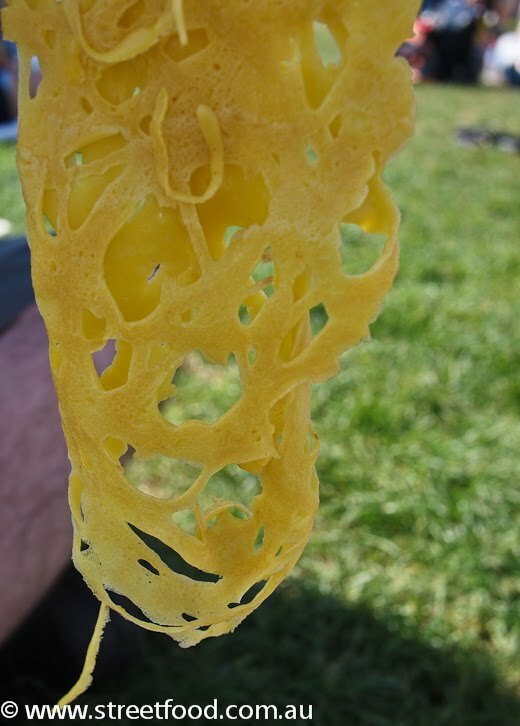 Mmm roti jala. 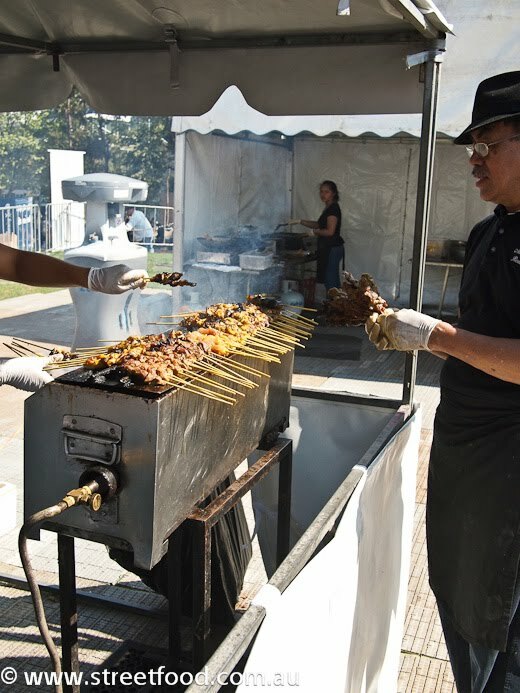 The satay skewers look fantastic!